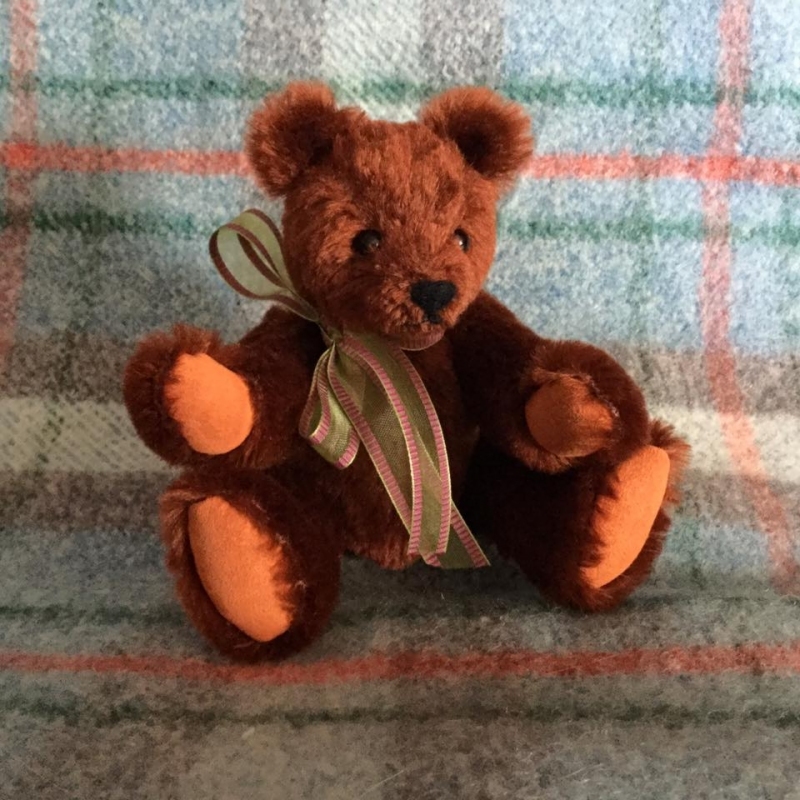 Here is my first little bear - I haven't decided on his name yet. I completed him a little while ago as part of a bear making course held at my local sewing shop, the course was run by a lovely lady called Helen. The pattern was provided to us. I am pleased with how he turned out, and although he had some popped seams around the face (stitched too close to the edge of the fabric), I was able to repair him with a ladder stitch. Well, I must say I'm impressed!!! You must be great at crafts! Love his ears!! Yes, indeed - You did lovely work on your first bear, and the mohair is fabulous. I'm impressed that you weren't afraid to do some scissor work to define his wee face. Wow, he is lovely and nobody could tell it's your first bear. The fur looks very inviting for a good cuddle and he has a very sweet expression too. Well done! Way to go, Julie! He is impressive - you should have seen my first one!